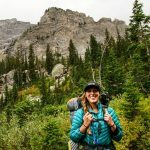 Curious about backpacking but feeling overwhelmed or intimidated? Join us for a backpacking adventure in Joshua Tree National Park! This 2-night experience is designed to help beginners gain confidence in essential backcountry skills. Learn how to pack your bag, read a map, prepare a delicious meal outdoors, minimize your impact, and more! We will get up-close-and-personal with the desert landscape as we head into the backcountry on the Boy Scout Trail, navigating the sandy washes and rock formations to our first wilderness campsite. We will continue our journey through the Wonderland of Rocks to Willow Hole, an oasis shaded by desert willows and frequented by bighorn sheep. Along the way, we will keep our eyes peeled for desert wildflower blooms. Finally, we will retrace our steps along the Boy Scout Trail for our final descent to Indian Cove and celebrate with a victory lunch at a local restaurant. Shoestring Adventures operates with special use permits. A portion of your ticket goes toward protecting and preserving this park for future generations. 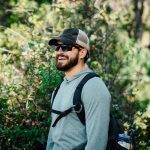 While previous backpacking experience is not required, Shoestring Warriors must be physically fit and prepared to hike up to 7-miles with approximately 35 pounds on your back. Check out our upcoming schedule of community hikes to train with us! Traveling from out of town? The closest airports are Palm Springs International—45 minutes from park headquarters—and Ontario International, about an hour and a half from the park. Los Angeles International, Burbank, and Long Beach Airports are all about two to three hours away. Plan to fly in the night before. You can find a place to stay on Airbnb. We will meet bright and early on Day 1, around 8am. We will return to civilization around noon on Day 3. If you would like to join us for victory lunch at a local restaurant, plan to depart from Joshua Tree to your airport destination around 2pm. Average high in February is 64 degrees Fahrenheit. Late February and March is also when desert wildflowers begin to bloom. We take extra measures to ensure your safety and maximum level of fun. All Shoestring Adventures trip leaders hold Wilderness First Responder/CPR, Leave No Trace and Food Handling certifications. In remote destinations, we carry a DeLorme inReach Explorer Satellite Messenger to contact authorities in case of emergency. Participants must complete our Registration Form and sign a Liability Waiver & Media Release. Please read our FAQ for more information and our cancellation policy.